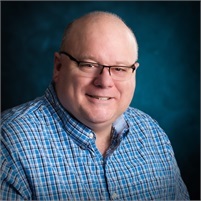 One of our founding partners, Geoff specializes in information technology systems. He maintains and updates our entire IT infrastructure, the heart of our operations. Geoff has been working in the IT field for nearly 25 years. Geoff is an avid aviation fan, volunteering for several concurrent years for the annual AirVenture in Oshkosh, Wisconsin. He also enjoys camping and is the father to four beautiful children.